So this post was suppose to be up on Monday to kick off a week of apple themed treats for Back to School but then I went back to school. Teacher workdays officially started this week and I have been crazy busy. Like dream about my to do list in my sleep busy. So Apple Week may run from Wednesday to Wednesday, whoops. 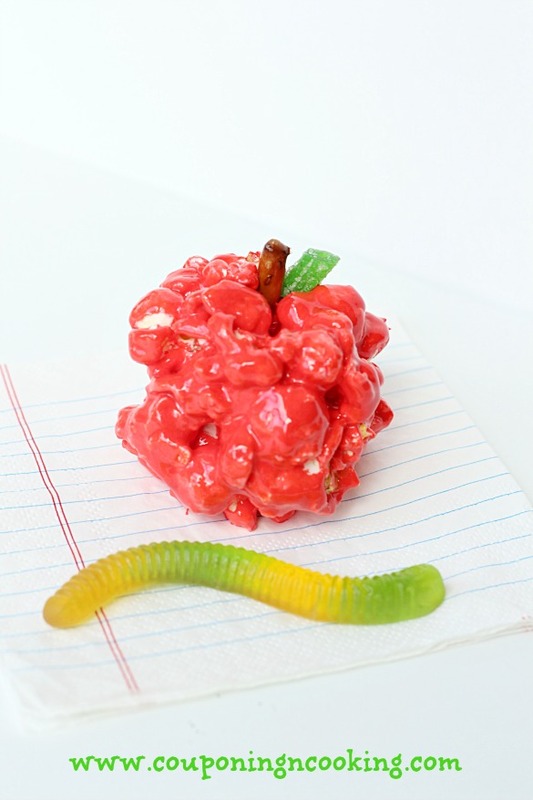 So when I originally planned to do a few posts with an apple theme I was thinking more along the lines of shiny, red, give to you teacher apples in the traditional back to school sense. But after a few days at work getting ready to launch our 1:1 iPad program next week, all I see when I think about apples are white, shiny, breakable, and traditionally expensive Apple iPads. Don't get me wrong, I am beyond excited about going 1:1 and starting the year with a paperless classroom but wow has it been a lot of work. So much work that I am pretty sure that I have permanently sprained my thumbs from typing on a screen. Please don't judge me. And while I know that all of our hard work will be so worth it when we kick of the school year with students next week, right now all I want to do is eat junk food, cry and lay on the couch watching Grey's Anatomy reruns. 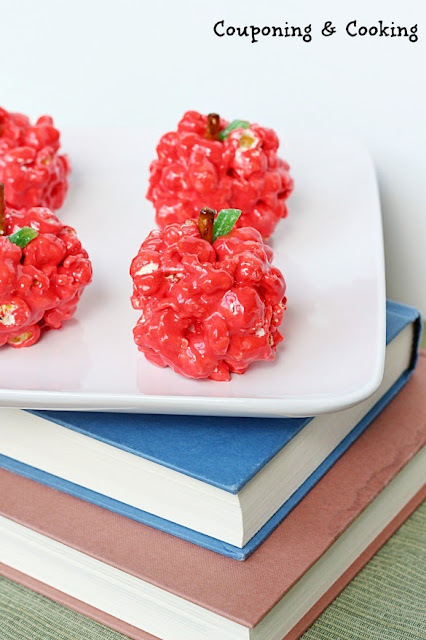 But since none of those things are very productive, I came home from my first full teacher workday and made these completely unnecessary, but oh so good Apple Pie Popcorn Balls. 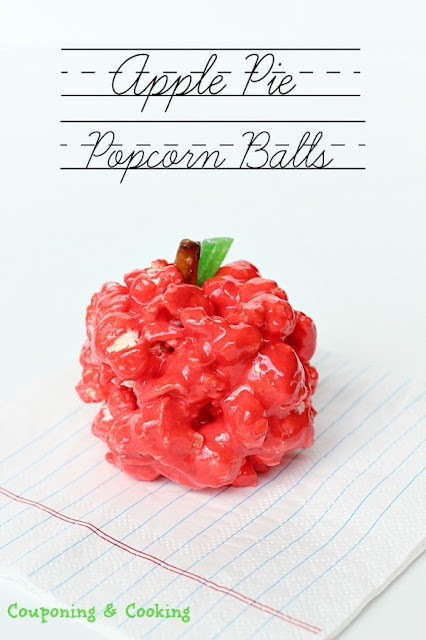 I originally planned to just make regular popcorn balls shaped like apples with red food coloring. But then I was aimless wandering around Target over the weekend in an effort to avoid doing real work and I discovered Duncan Hines Frosting Creations new Apple Pie flavor. And I realized that the only thing better than popcorn balls that looked like apples were ones that tasted like apples too. 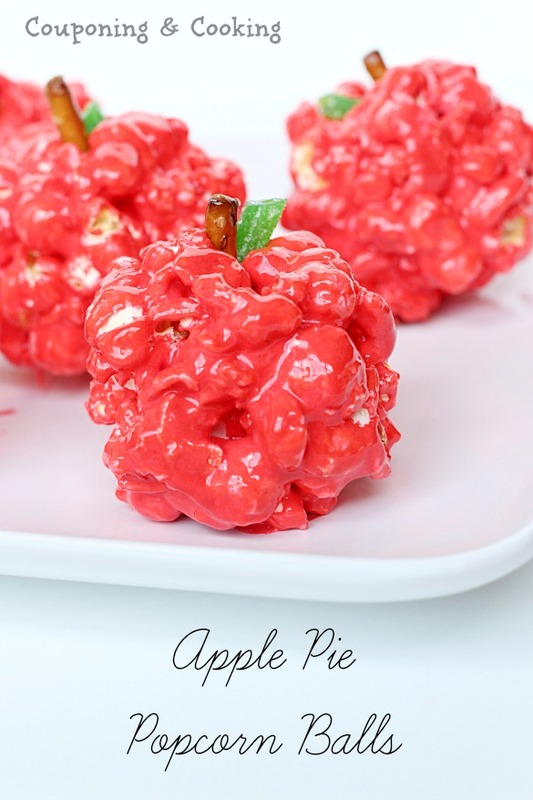 And man, did they taste like apples (pie). It might have been 99 degrees outside here in South Florida but I swear I tasted fall and caught a glimpse of leaves changing when I bite into one of these. No matter what your weather, these are the perfect week to get you in the mood for back to school. 3.) 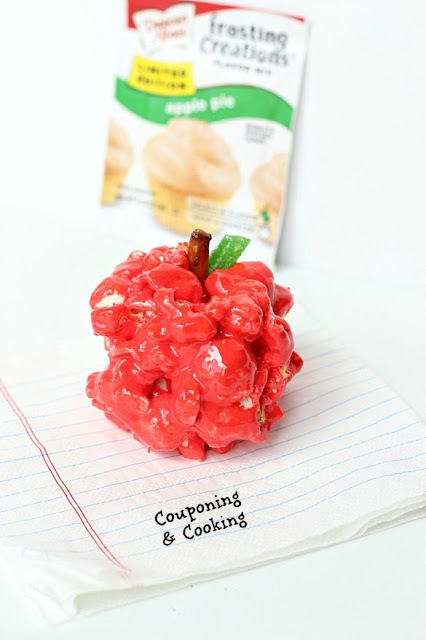 Add the Frostings Creation packet and red food coloring and stir until completely combined. 4.) Mix in the popcorn until it is completely covered in the marshmallow mixture. Let cool until you can handle the mixture. 6.) Break pretzel rods into small pieces and push them into the top of the apple as a stem. Cut sour straws at an angle an flatten them to use as leaves. 7.) You can wrap them individually in plastic wrap or store them in an airtight container. They are best when eaten within 48 hours. Want more than just an apple a day? 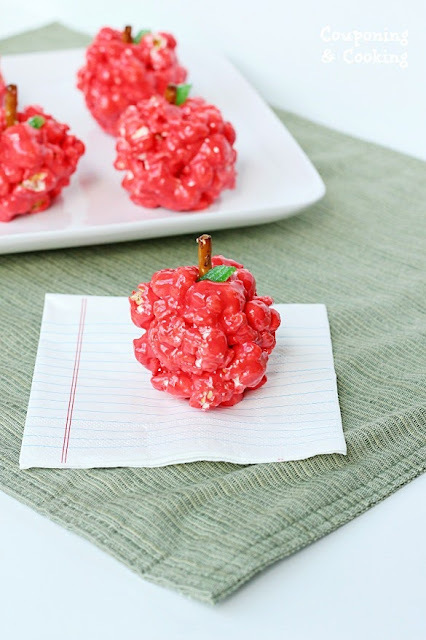 Check out my An Apple A Day... Pinterest Board!